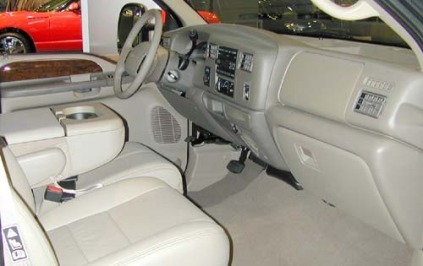 Includes 7.3L V8 TurboDiesel with 250 horsepower at 2,600 rpm, 525 ft.-lbs. of torque at 1,600 rpm, dual 78 A.H. batteries and engine block heater. Includes heavy service front springs (200 lb. upgrade above the spring computer selected as a consequence of options chosen. 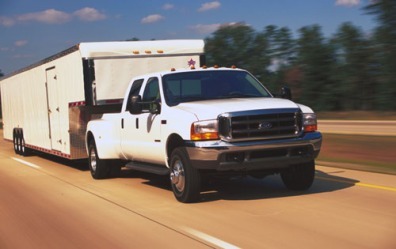 Not included if maximum springs have been computer selected as standard equipment), rear stabilizer bar and slide-in camper certification. Includes 6.0L V8 TurboDiesel with 325 horsepower at 3,300 rpm, 560 ft.-lbs. of torque at 2,000 rpm and engine block heater. Includes 7.3L V8 TurboDiesel with 275 horsepower at 2,800 rpm, 520 ft.-lbs. of torque at 1,600 rpm, dual 78 A.H. batteries and engine block heater. Includes AM/FM stereo with cassette, 4 speakers and clock. Includes 6.8L V10 Engine with 310 horsepower at 4,250 rpm and 425 ft.-lbs. of torque at 3,250 rpm. Includes heavy service front springs (200 lb. upgrade above the spring computer selected as a consequence of options chosen. Not included if maximum springs have been computer selected as standard equipment) and steering damper. Includes highest front GAWR 5200 lbs. springs, and steering damper. Includes front and rear chrome bumper with lower valance, single beam jewel effect headlights and full wheel covers. Recommended when minimum temperature is below -10 degrees F or less.